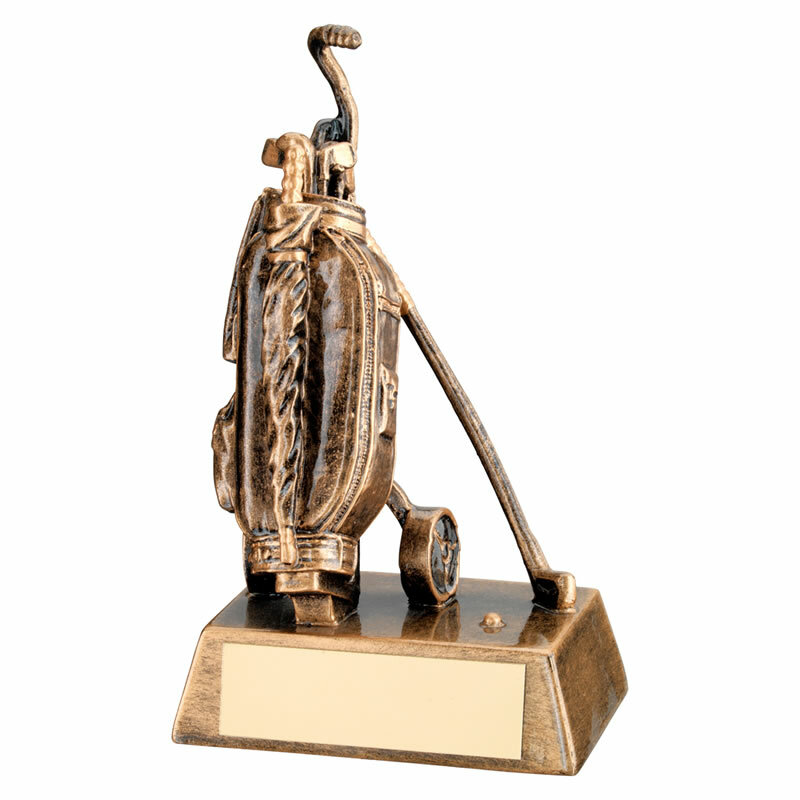 These versatile golf trophies are suitable for both mens and womens golf prizes as well as for juniors. 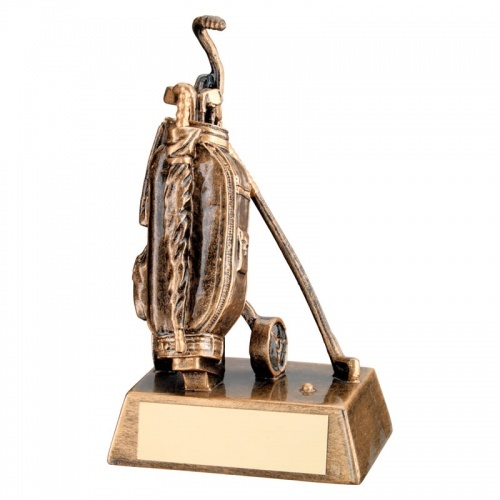 Crafted in durable resin, they feature a detailed figure of a golf bag set on a bevelled base with engraving plaque. These 6.25in tall awards have a classic bronze and gold finish and are offered with low cost engraving.